Personnel who uses automation with excel. Register before 11 Mar 2019 for only RM800 per person. Register before 14 Jun 2019 for only RM800 per person. Register before 13 Sep 2019 for only RM800 per person. Register before 10 Nov 2019 for only RM800 per person. 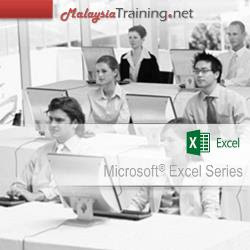 This 2-day Microsoft Excel VBA training shows you how to automate tasks by writing Macro. Learning to write Macros in VBA is a time-saving approach while on the other hand helping you to discover the greater potential of Microsoft Excel.